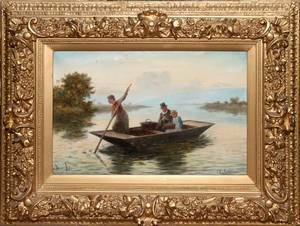 W. RICHARDS (ENG. 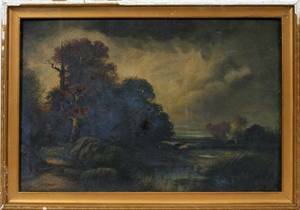 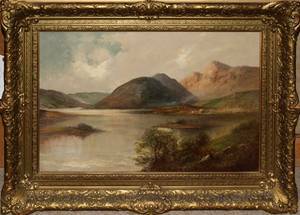 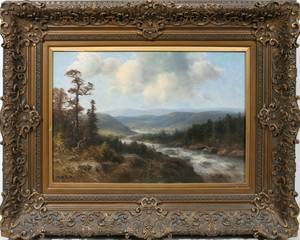 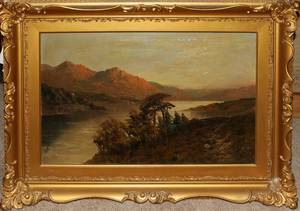 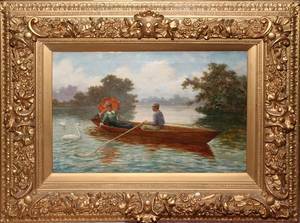 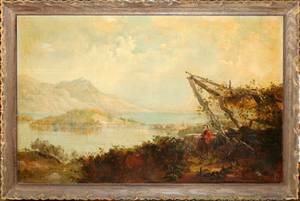 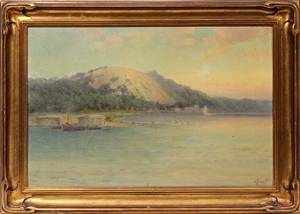 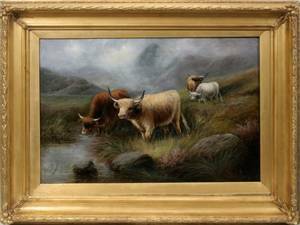 1895-1950) OIL ON CANVAS 16" X 24", 'LOCH LOMOND':Alias Francis E. Jamieson English artist; Scottish landscape; gilt wood frame; Signed lower right; gilt frame; "Loch Lomond" on verso. 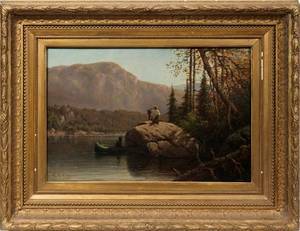 122087: THOMAS B. GRIFFIN, OIL ON CANVAS, 16" X 24"
012318: SIGNED J.V.G., OIL ON CANVAS 16" X 24"
112136: HECTOR STEWART, OIL ON CANVAS 16" X 24"
112001: GEORGE LAFAYETTE CLOUGH OIL ON CANVAS 16" X 24"